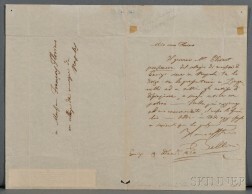 Bellini, Vincenzo (1801-1835) Autograph Letter Signed, 19 December 1834. 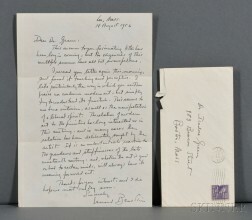 Bernstein, Leonard (1918-1990) Autograph Letter Signed, 18 August 1952. 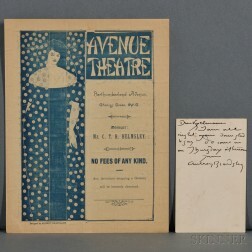 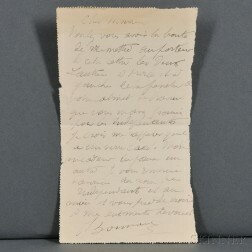 Bonnard, Pierre (1867-1947) Autograph Note Signed, undated. 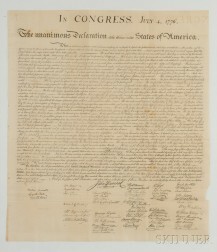 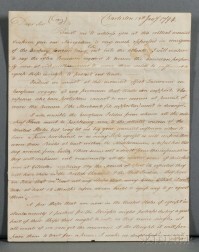 Burr, Aaron (1756-1836) Letter Signed, 24 January 1807. 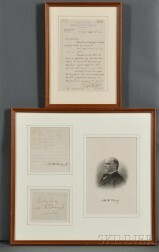 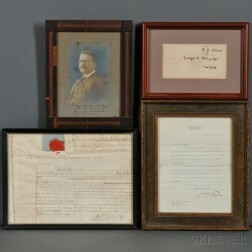 Chester A. Arthur (1830-1886) and William McKinley (1844-1901) Signed Correspondence. 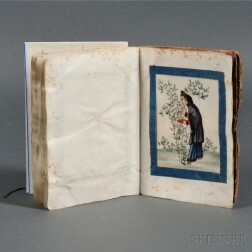 Chinese Illustrated Manuscript on the Production of Tea, 19th Century. 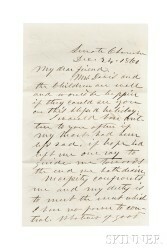 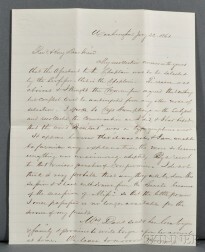 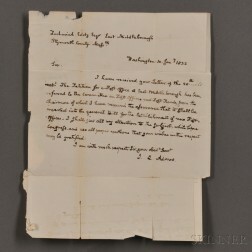 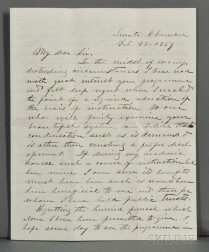 Davis, Jefferson (1808-1889) Autograph Letter Signed, 24 December 1860. 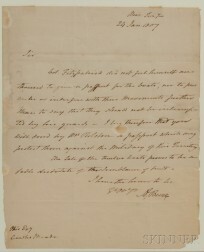 Davis, Jefferson (1808-1889) Autograph Letter Signed, 22 January 1861. 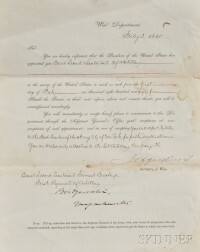 Davis, Jefferson (1808-1889) Signed Military Commission, 1 July 1855. 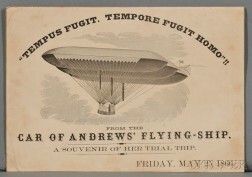 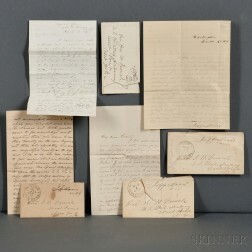 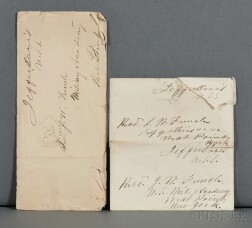 Davis, Jefferson (1808-1889) Three Envelopes with Free Frank Signatures. 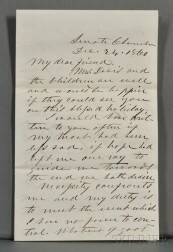 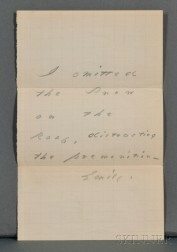 Dickinson, Emily (1830-1886) Autograph Note Signed, undated. 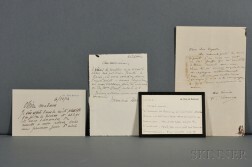 Eilshemius, Louis Michel (1864-1941) Autograph Notes Regarding Skeletal Anatomy. 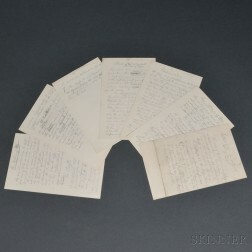 Escher, Maurits Cornelis (1898-1972) Signed Card with Photo, 1971. 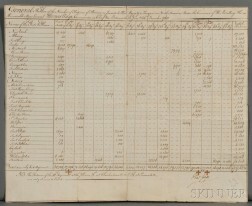 Hancock, John (1737-1793) Lottery Ticket, Signed, June 1765. 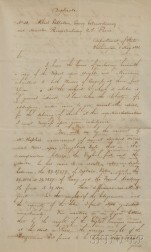 Hancock, John (1737-1793) Signed Military Commission to the Rank of Major, John May (1748-1812) 1 July 1781. 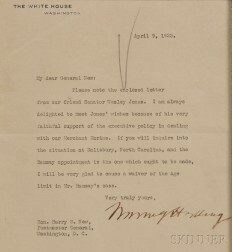 Harding, Warren (1865-1923) Typed Letter, Signed, 9 April 1923.